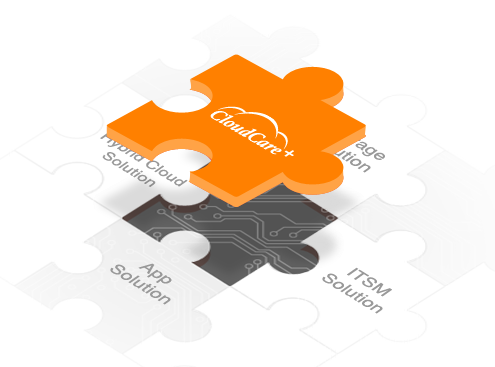 CloudCare is a service brand which have aggregated a set of capabilities and expertise over the past four years. 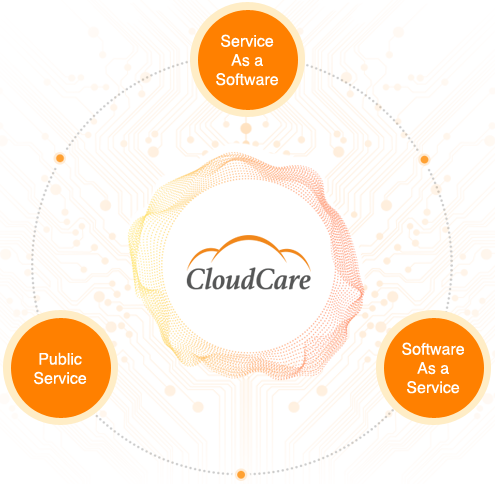 CloudCare is applicable to the customers who have been using public cloud. When registering as a member of CloudCare, customers will not only enjoy the “personalized” intelligent service, but also experience the 7*24*365 service by using the products developed by Zhuyun. 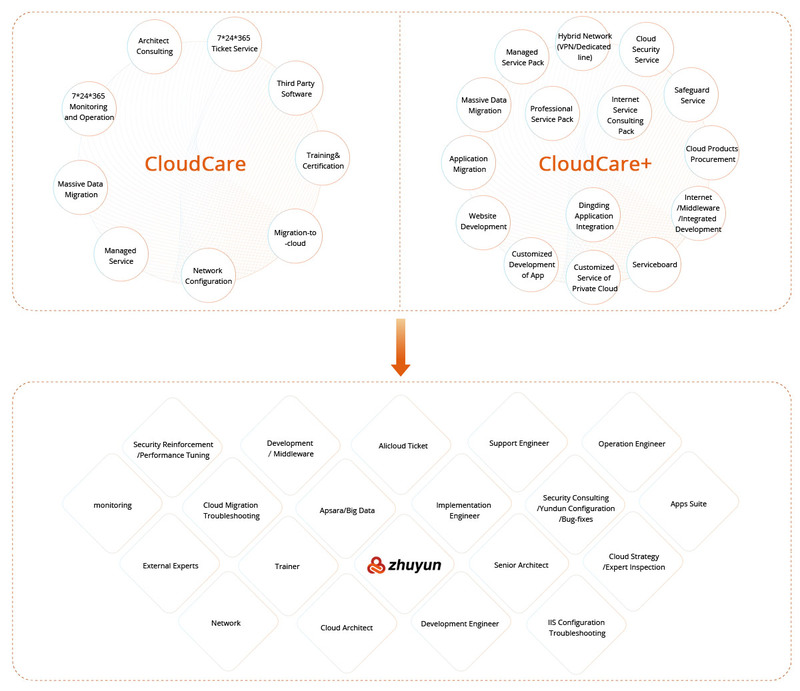 CloudCare+ provides a wide array of proven solutions such as Apsara Stack,Cloud Drive solution,ITSM Solution,Enterprise APP Development Solution,Internet-based Enterprise Management Solution,etc. Overseas partner’s product can be integrated within CloudCare+ .